What Size and Power Amplifier Do I Need for My Keyboard? Want to turn up the music when you’re playing from the keyboard? Keyboard amplifiers can help you boost the sound from the keyboard so you can hear yourself playing at whatever volume you’d like. While they may not have the classic status of a guitar amplifier, they are still a crucial element for any professional keyboard player. Picking out the best keyboard amplifier for yourself is quite a challenge. Before we start on how to pick a keyboard amplifier, let’s find out what they are. In simplest terms, keyboard amplifiers can boost the sound coming from the keyboard. They turn up the sound so the player can hear himself clearly. In bands, where there is more than one keyboard player, the sound of each individual instrument can easily get drowned by the others. As a result, you may find that you cannot hear yourself playing which, in turn, leads to a loss of control over the sound. A typical keyboard amp includes a powered amp and a speaker, all integrated into a single cabinet. Due to their versatility, they aren’t only meant for keyboards. In fact, they can play a wide variety of instruments along the entire spectrum of the keyboard. These amplifiers are less expensive and provide the basic equalization controls. This includes reducing treble and adding bass etcetera. These amps are high-tech devices that have higher output powers and include separate controls for equalization. They can help you amplify and modify each channel separately. Picking out keyboard amplifiers is especially tricky. When you consider a guitar amplifier, it is designed to amplify the sound of a guitar. A keyboard, on the other hand, can play a multitude of sounds and samples. They can play the piano, the drums, strings, etc. Thus, keyboard amplifiers are designed to recreate the full range sound. The best keyboard amp for you is the one that can faithfully and accurately reproduce the entire range of sound from your keyboard. The best part is that since they can handle the full sonic spectrum, you can use them for more than just amplifying the sound of a keyboard. In fact, you can use them for electronic drums, vocals, guitars and many more. 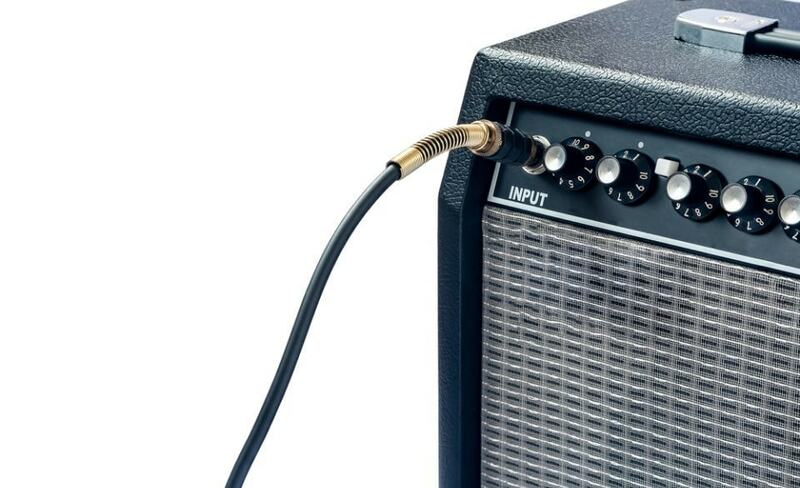 This way you can get your money’s worth by investing in a simple guitar amp. Another factor to consider is the fact that most keyboard amps have multiple channels. Consequently, you can play more than the instrument at a time. Also, you can use them as a PA system. This is because they come with an auxiliary input through which you can connect your music player. Simply use it to amp up the music or your vocals if you want to give a speech. This is the first question you need to ask yourself when picking out a keyboard amp. The answer depends on the type of environment you’re playing in. If you are playing at a larger venue, then you may require more power. On the other hand, you can always get by with a small keyboard amp at smaller venues. Generally, the higher the wattage, the louder you can play without the sound getting distorted. Most manufacturers provide the power wattage in a number of different ways. It is essential that you understand the difference between these common terms. Peak watts, for instance, are the max amount of output power that an amp can deliver during a peak. It does not stay at this level indefinitely. On the other hand, Continuous or RMS Watts are measured through the RMS voltage at that point of the sound. This tends to be a much more realistic way of measuring the wattage as it defines the average power output by your amp. Also, you need to consider the fact that any live performance may be amplified through the in-house PA speakers. As a result, you do not want your keyboard amp to be too powerful and fill the entire venue with sound. Instead, the amp should produce just the right level of volume while ensuring a pleasing sound. Keyboard amps tend to be generally portable and small in size. This is due to their lighter solid-state components. Moreover, they are available in smaller cabinets that come with the speakers integrated into them. A few models, however, are more portable than others. For instance, the Roland CM-30 comes with a 6.5-inch speaker, ensuring a lightweight and portable design. Generally, the size does not matter much as long as the quality is good. While it is great to look for the highest-rated speaker size, we recommend that you choose according to your needs. As a beginner you can do with about 8-inch speakers, while professionals may want about 15-inch speakers. A typical keyboard amp includes three to four mixers that allow you to plug in different instruments. The larger the amp, the more input choices you typically get. All in all, keyboard amps are definitely worth the investment due to the large range of spectrum they can reproduce. You can connect them to any instrument, including a microphone, and they will work wonderfully. When it comes to deciding the right amp for your keyboard, the power and size play a crucial role. You need to decide on these two factors before you buy any keyboard amp.